Nobody’s quite as nervous as first-time parents, but every family welcoming a new baby is going to take extra precautions with the infant, whether for the first time or fourth. The small size of newborn babies is always so striking, and as mothers we want to them with everything we have; but gosh, our new gear seems so huge and bulky for such itty bitty little babies! Travel systems are, by definition, rather huge and bulky as well. The car seat fits into a substantial-sized stroller that is sturdy enough to balance well and provide safety for your tiny baby. Many manufacturers are listening to their customers, though, and are streamlining their designs to be less bulky and more fashionable looking while still providing convenience and safety for both parent and infant. The matching color schemes have improved over the years, too, and are quite refreshing and fashion forward. When your baby is at his or her smallest, some travel systems have nice little extra features included that help provide a more snug fit and offer support when your baby still has undeveloped muscle strength. Look for features such as inserts for the car seat or stroller that offer head and shoulder support. Other manufacturers provide an insert that supports your baby from head to foot. Here are three recommended travel systems that are excellent for newborns and have been highly rated both professionally as well as by parents who have actually used them. If you want a stroller that has everything along with an adorable matching car seat, then you’re going to love the Graco Quattro Tour travel system. The Quattro Tour Deluxe stroller has gotten solid ratings on Consumer Reports with very good marks all around for ease of use, maneuverability and safety. The SnugRide 32 car seat have good ratings as well. Customers love this travel system and have given it 4 or 4.5 stars across different web retailers. A dad from Virginia chimes in saying, ” It may be larger than some others, but we love how well it works and how much space it has.” Would you like something more sporty looking and less “babyish”? The Quattro Tour Sport stroller has a sleeker design and as a travel system, parents give it high ratings as well. 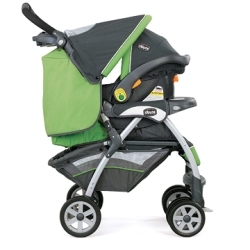 Evenflo has a wonderful stroller and car seat combo called the Aura Select Travel System. 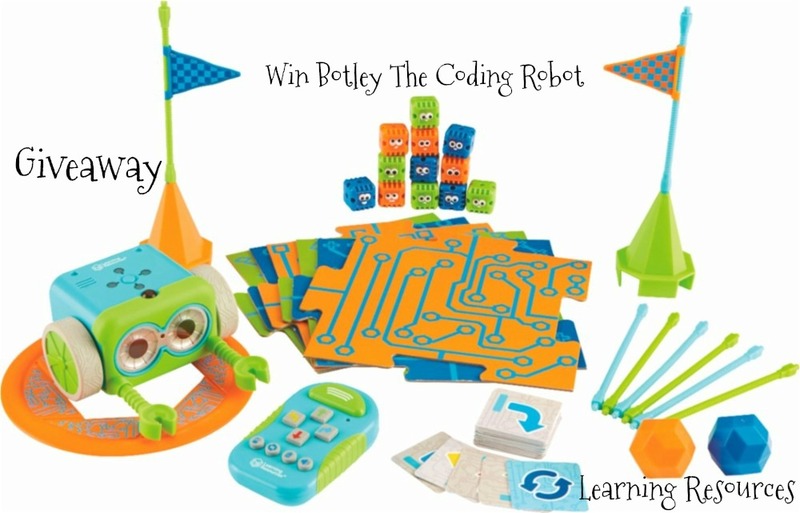 This is the most economical of the three, between $140-$170, and is available in three cute color schemes for boys, girls or gender neutral. You will appreciate the one-handed steering because the Aura Select is extremely maneuverable. Consumer reports gives the Aura Select very good marks for ease of use and maneuverability and the Embrace car seat gets an excellent mark for crash protection. 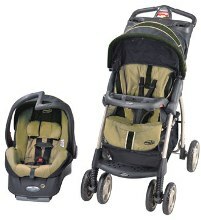 Parents also love this Evenflo travel system and they give it 4.5-stars in their reviews online. One mom writes, “The price is VERY reasonable and affordable, but you get more than your money’s worth.” You certainly cannot ask for more! 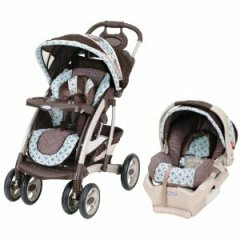 What’s your experience been like with travel system strollers, especially when your baby is very young? Any other recommendations? Let’s get some of your comments. Amy Tanathorn researches the best baby strollers at Stroller Envy, where you can find in-depth reviews and ratings, including video demonstrations. 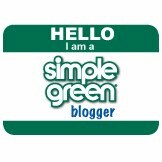 This is a guest post an the information and opinions are the guest writer’s point of view and research.